Arbitration is the preferred method of settling disputes in Finland and among Finnish companies. In Finland, commercial cross-border disagreements and disputes with an international element are nowadays mainly tackled by means of private arbitration instead of being resolved in domestic courts. International and cross-border related commercial agreements almost always contain an arbitration clause that refers to institutional or ad hoc arbitration rules chosen by the parties. In general, if the arbitration relates to Finland, there is usually at least one party from Finland. During the past few years, the Arbitration Institute of the Finland Chamber of Commerce (FAI) has actively developed its rules, boards, services, seminars and position among the leading arbitration institutes. The currently valid FAI arbitration rules and expedited rules (FAI Rules), which entered into force on 1 June 2013, contain a provision that makes it possible to learn the case law of the FAI arbitration proceedings as the FAI may publish on its website,2 unless otherwise agreed by the parties, excerpts or summaries of selected awards, orders and other decisions by both the FAI board and arbitral tribunals in FAI cases, provided that all references to parties' names and other identifying details are deleted and remain strictly confidential. During the past year, the FAI has published some of its useful decisions and arbitral awards of FAI proceedings that are of high quality, that deal with some procedural issues that are of general interest to a large number of users of the FAI Rules, or both. In practice, anonymously published awards and decisions of the FAI have been most certainly useful for those practising in the field of arbitration under the FAI Rules and in general if an arbitration is seated in Finland, even though the anonymously published arbitral awards and other decisions of the FAI naturally do not create any binding precedential case law as such. Some of the key issues relating to the FAI Rules are clarified in this chapter. The Finnish state courts have also rendered some arbitration-related decisions and enforced foreign and domestic arbitral awards during the past year. The current Finnish Arbitration Act (967/1992, as amended) came into force on 1 December 1992. The Arbitration Act is applied without distinction to both domestic and international arbitration, and is divided into two parts. Part One (Sections 1 to 50) applies to arbitration seated in Finland, and Part Two (Sections 51 to 55) contains provisions on arbitration agreements providing for arbitration abroad and the recognition and enforcement of foreign arbitral awards in Finland. Even though the Arbitration Act applies without distinction to both domestic and international arbitration, it is based on the same basic principles as the UNCITRAL Model Law on International Commercial Arbitration and can be largely considered as compatible with the Model Law. The Arbitration Act is based on the principle of territoriality, according to which arbitration is governed by the arbitration law of the seat or place of arbitration. However, the Arbitration Act does not contain any provision relating to interim measures. Recently, it has been debated among Finnish arbitration practitioners that the Arbitration Act should be updated and made fully consistent with the UNCITRAL Model Law, and the Finland Chamber of Commerce has submitted a motion on the subject to the Ministry of Justice of Finland. Party autonomy is a governing principle under the Arbitration Act, and the Act contains only few mandatory provisions, such as that the parties shall be given sufficient opportunity to present their case as well as regulations concerning nullity and setting aside arbitral awards. This flexibility guarantees that arbitration proceedings can be settled under the Arbitration Act according to an international approach without focusing purely on civil law or common law characteristics or other cultural anomalies that might be strange to international arbitration proceedings. According to the Arbitration Act, there are no restrictions for foreign nationals to act as counsel or arbitrators in arbitrations seated in Finland. States can also be parties to arbitration agreements under the Arbitration Act. Finland has ratified, inter alia, the Convention on the Recognition and Enforcement of Foreign Arbitral Awards (New York Convention) (on 10 June 1958), which has been in force without any reservations since 19 April 1962, and the Convention on the settlement of investment disputes between states and nationals of other states (ICSID, Washington, 18 March 1965), which has been in force since 1969. In Finland, the district courts are the first instance courts, and decisions of a district court can normally be appealed in a court of appeal. The decisions of the courts of appeal can then be appealed in the Supreme Court, provided the Supreme Court grants leave to appeal. There are no special courts available for arbitration-related matters in Finland. The district courts have a role in ad hoc arbitrations under the Arbitration Act in appointing arbitrators in some circumstances3 and during the pending proceedings in some rare circumstances relating to gathering evidence,4 but it should be emphasised that the flexible possibilities of arbitration allow arbitrators other means to determine the truth in arbitration proceedings that act as a substitute to the coercive means of domestic courts. Thus, in Finnish arbitration practice there is rarely a need to resort to judicial assistance from a state court when resolving the question of the taking of evidence. The state courts have a greater role relating to an action for declaring an arbitral award null and void or for setting aside an arbitral award.5 These actions must be brought before the district court in whose circuit the arbitral award was made. The duration of challenge proceedings in general shall be contemplated more rapidly than normal civil proceedings, as there is usually no need for oral hearings and witnesses and the procedure for enforcing the arbitral award is in general written and simplified, but, depending on whether the decision is appealed, the challenge procedure might take between six months and four years if the matter would be pleaded in all available instances of the court, according to the Finnish legal praxis. The FAI is the most important arbitration institute, and the only arbitration institute with any practical importance, in Finland. It has a long history, having been established in 1911, and it is one of the world's oldest arbitration institutes. The new FAI Rules entered into force on 1 June 2013, on which date the FAI also set up an international board composed of a number of non-Finnish, distinguished international arbitration practitioners. 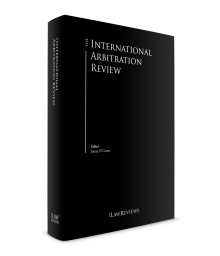 The new FAI Rules serve both domestic and foreign users well and contain provisions concerning, inter alia, multiparty arbitration (e.g., joinder and consolidation), emergency arbitrators and confidentiality. The FAI arbitration rules and expedited rules are for the most part similar, but the expedited rules contain features that emphasise the rapidity of the proceedings. In Finland, there are no statistics on how many ad hoc arbitrations are conducted annually, but general opinion among the Finnish arbitration community is that FAI arbitration proceedings are probably more common. During the past year, some arbitral decisions and awards have been rendered in Finland that will be of interest and useful to practitioners and clients who are operating in the field of international arbitration. The Finnish Supreme Court has not issued any arbitration-related decisions in the current term, but some significant FAI proceedings decisions and lower state court decisions are relevant for Finnish arbitration praxis, and will also be of general interest and useful for comparison purposes to the international arbitration community and users. Generally, an arbitral tribunal has no jurisdiction over third parties and non-signatories to an arbitration agreement. However, there are grounds on which third parties may be bound to an arbitration agreement, such as universal succession and assignment. Additionally, according to Supreme Court decision KKO 2013:84, an arbitral tribunal has jurisdiction over an individual's claims based on an agreement that provides rights to the individual but to which the individual is not a party. In addition, it should be noted that there are no provisions in the Finnish Arbitration Act or case law concerning the applicability of the 'group of companies' doctrine in Finland. One published FAI case concerned the issue of whether an arbitrator has jurisdiction to hear a dispute arising out of an oral extension of a written contract containing an arbitration clause.7 The case also presented some well-accepted principles on how the form requirements of an arbitration agreement can be assessed in closely related agreements in Finland. The sole arbitrator determined, after having reviewed the written evidence, that he had jurisdiction to decide also the claims arising out of an oral sublease agreement relating to a written cooperation agreement, and resolved all the claimant's claims and rendered an arbitral award on the merits. The sole arbitrator's decision was based on the following three grounds. The arbitration clause in the main contract may also extend to follow up or repeat contracts concluded in close connection and in support of a main contract. This is usually a question of interpretation; this may be the case if the subsequent agreements amend or complete the main contract. The arbitrator also noted that without the cooperation agreement, the parties would not have needed to enter into the sublease agreement at all. This provided further support to the conclusion that the two agreements actually constituted one contractual relationship. Finally, the arbitrator found that the normal intention of commercial actors is to bring all disputes arising out of or relating to the same contractual relationship to be resolved in the same procedure. This was a further factor in favour of finding that the claims brought under the oral sublease agreement should also be resolved in the pending arbitration proceedings by virtue of the arbitration clause contained in the cooperation agreement. Written evidence is usually very significant in international arbitration conducted in Finland when an arbitral tribunal assesses disputable matters. Witnesses cannot be questioned under oath in arbitration, unlike in procedures in domestic courts, and written evidence provides a more flexible, effective and cost-effective way to assess proof in cross-border disputes. In addition, in Finland it is customary in international arbitration proceedings that the parties' claims and evidence must already have been presented in a comprehensive way at the beginning of the proceedings. However, in international arbitration, procedural issues may arise that differ from the customs of parties from common law and civil law backgrounds. One relevant procedural issue typical to international arbitration relates to the production of documents. Usually, parties in an international arbitration produce the documents on which they intend to rely at the time of filing their claims and statement of defences or other submissions, and the production of documents and written evidence does not present any problems. It is also very rare under Finnish arbitration practice that an arbitral tribunal would request the parties to produce evidence on its own initiative. When a party needs documents to prove its claims or defences, and these documents are in the possession, custody or control of the opponent party and are unfavourable to the opponent party's case, problems may arise. In such a situation, if the parties come from different legal traditions – for example, from countries with traditions in civil law and common law – the proceedings may prove to be considerably unpredictable if the principal rules relating to the production of documents are not clear and do not take into account the fact that parties rarely draft any special provisions to deal with the production of documents. Although the International Bar Association Rules on the Taking of Evidence in International Arbitration (IBA Rules of Evidence) indisputably present generally accepted best practices in international arbitration proceedings, they are not always automatically applicable in international arbitrations; they are applied whenever the parties have agreed to this or when the arbitral tribunal has decided to apply them. In addition, domestic arbitrations in Finland are usually tackled without any direct reference to the IBA Rules of Evidence. Despite this, parties frequently refer to the IBA Rules of Evidence if an international arbitration is conducted in Finland. Article 33.2(b) of the FAI Rules grants the arbitral tribunal the power to order any party, at any time during the proceedings, to produce any documents or other evidence 'that the arbitral tribunal may consider relevant to the outcome of the case'. Based on this provision, the arbitral tribunal is authorised to request the production of evidence from any party either on its own initiative or at the request of one of the parties. Like the majority of other leading institutional as well as ad hoc arbitration rules, the FAI Rules do not contain specific rules for resolving document production issues. They leave wide discretion to the parties and the arbitral tribunal to decide on the production of documents in the most suitable case-specific manner. Consequently, the leading arbitration rules do not expressly answer how and to what extent the production of documents should be conducted in arbitration. The captioned, anonymously published FAI case concerned a business purchase dispute wherein a Finnish company A commenced an FAI arbitration against a Finnish company B under the business purchase agreement's arbitration clause that referred to FAI arbitration, and wherein the governing law was Finnish substantive law. The material dispute between the parties concerned termination of the agreement and the value of the healthcare business sold by A to B under the agreement. In the course of the proceedings, A filed a document production request against B in order to support its view on the value of the healthcare business, and requested the sole arbitrator to order B to produce all treatment and service agreements relating to the healthcare business that could have relevance in assessing its present value. B objected to A's requests on the grounds that the requested documents had no relevance to the outcome of the dispute (comparable with Article 9(2)(a) of the IBA Rules of Evidence), and because they contained B's business secrets (comparable with Article 9(2)(e) of the IBA Rules of Evidence) and confidential patient information. specified information regarding the state of B's patients' health is not essential in the valuation of B's healthcare business due to which A's right to present its case does not supersede confidentiality of delicate information regarding private persons who are not themselves parties to arbitration. In its decision, the sole arbitrator referred to for example the IBA Rules of Evidence. Even though the Arbitration Act and the FAI Rules do not contain provisions that are as detailed as the IBA Rules of Evidence, current Finnish arbitration practice corresponds to the scope of the production of documents as regulated in the IBA Rules of Evidence, and arbitral tribunals take the IBA Rules of Evidence into account when deciding a case. In the FAI practice, there have been two cases in which a party has objected to the other party's request for consolidation. The FAI faced this situation for the first time in 2015 in a case wherein the FAI board dismissed the request for consolidation. In a recently published FAI case,12 the FAI witnessed the first case in which the FAI board ordered consolidation of two separate FAI arbitrations regardless of the objections of the respondent parties to those arbitrations. In that FAI case, Finnish companies A and B had entered into an asset purchase agreement (APA) whereby A acquired certain parts of B's business. According to Clause 16 of the APA, the APA was governed by the Finnish substantive law, and any disputes arising out of or relating to the APA shall be finally settled in FAI arbitration seated in Helsinki. After the transaction, a dispute arose between the parties concerning certain intellectual property rights allegedly granted to A by B under the APA. The APA also contained B's non-Finnish parent company C's following undertaking: '[C] hereby (…) acknowledges [A's] right to use [certain intellectual property rights], as set out in Clause 8.5. Clause 16 (Governing Law and Dispute Resolution) shall apply to this undertaking.' A commenced an FAI arbitration against B and requested, for example, that the arbitral tribunal declare that A had a right to use certain intellectual property rights under the APA. Soon after, A also commenced an FAI arbitration against C requesting effectively the same relief as in the first case and that the two proceedings be consolidated. Respondents B and C objected to A's request. the relief requested by A in the proceedings was effectively the same. This section outlines the Finnish courts' approach to the enforcement of foreign and domestic arbitral awards according to the governing law, and some recent decisions of the state courts. One indisputable advantage of arbitration, and especially international arbitration, as opposed to litigation in national courts, is the fact that arbitral tribunals can give a binding and final resolution that is widely recognised and enforceable internationally.15 However, this is not an unexceptional praxis, as the losing party sometimes tries to set aside foreign and domestic arbitral awards. If the enforcement of arbitral awards takes place in Finland, the relevant provisions are contained in the Arbitration Act. As previously mentioned, Finland has ratified the New York Convention, and the Arbitration Act can be largely considered to be compatible with the Model Law. With regard to the recognition and enforcement of foreign arbitral awards, however, the Arbitration Act contains certain elements that make it more favourable towards recognition and enforcement than the New York Convention and the Model Law, as the Arbitration Act sets, in certain respects, an even higher threshold for refusal. Furthermore, Finland has not made reciprocity or the commercial nature reservation provided for in the New York Convention compulsory. It should be noted that arbitral awards can be set aside for only very limited and specific narrowly defined procedural grounds in Finland. This has also been confirmed in the Supreme Court of Finland's precedential judgment on 2 July 2008,16 which concerned an arbitral award rendered in international arbitration proceedings seated in Finland. In the cases discussed below, the Finnish courts have established some guidelines concerning the enforcement and recognition of domestic and foreign arbitral awards that emphasise the arbitration-friendly attitude of the Finnish courts towards the recognition and enforcement of foreign arbitral awards, and the high threshold for refusing recognition and enforcement under the Arbitration Act. A decision of the Court of Appeal of Helsinki,17 which held in force a judgment of the District Court of Helsinki but which has not yet become final, concerned setting aside an arbitral award rendered under the FAI Rules on 11 February 2014. In its judgment issued on 21 October 2016, the Court of Appeal dismissed the appeals concerning setting aside and declaring null and void the arbitral award. In its reasoning of the judgment, the Court of Appeal emphasised that an arbitral award could only be null and void or set aside due to clear formal errors or relatively gross procedural faults. Further, the alleged formal errors and procedural faults must be evaluated separately with regard to the scope of the arbitral tribunal's authority and the parties' opportunities to present their cases. Thus, the grounds for setting aside an arbitral award must be assessed on a case-by-case basis taking into account the facts referred to by the parties, the grounds of the arbitral award, and whether the conclusion of the arbitral award is unexpected in relation to the facts and claim presented by the parties. Finally, the Court of Appeal held that questions of material law cannot be taken into account when evaluating grounds for setting aside an arbitral award. A decision of the District Court of Helsinki,18 which has become final, related to the recognition and enforcement of a foreign arbitral award rendered under the China International Economic and Trade Arbitration Commission Arbitration Rules on 30 December 2010. In its judgment, the District Court of Helsinki recognised the arbitral award and ordered it to be enforced against the Finnish party. In its reasoning of the judgment, the District Court found that the parties had agreed to settle the dispute finally and bindingly in arbitration, and that an arbitral award can only be deemed null and void, and the recognition and enforcement can only be refused, under exceptional circumstances. Further, the judgment of the District Court indicates that it is crucial to raise claims in writing concerning possible procedural faults during the arbitration proceedings if a party wishes to demand the refusal of the recognition and enforcement of an arbitral award based on procedural faults under the Arbitration Act. Currently, Finland is party to 67 bilateral investment treaties with other countries. As mentioned earlier, Finland has ratified the ICSID, which has been in force since 1969. There is no case law relating to Finland with regard to investment arbitrations. The state courts' approach to the defence of state immunity concerning jurisdiction and execution can be invoked if disputes concern acts of state, but not when disputes relate to measures of a commercial or private law nature. Judgments of the Finnish courts confirm the arbitration-friendly and non-interventionist attitude prevailing in the Finnish courts. The threshold for setting aside an arbitral award is high under the Arbitration Act. The FAI Rules have eliminated all local parochial features, and have also taken into account recent best practices and elements of international arbitration. 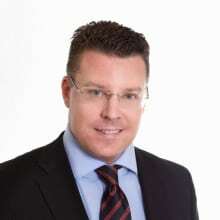 Further, the current FAI Rules have established a fast, cost-efficient and confidential method of settling commercial disputes that means that Finland can be considered a reliable seat of arbitration. 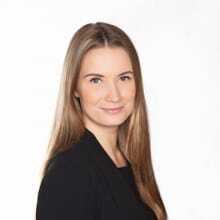 1 Timo Ylikantola is a partner and Tiina Ruohonen is an associate at Attorneys at law Ratiolex Ltd.
3 See Sections 14 to 17 of the Arbitration Act. 4 See Section 29 of the Arbitration Act. 5 See Sections 40 to 44 and 51 to 55 of the Arbitration Act. 8 Comparative International Commercial Arbitration (2003), Julian D M Lew, Loukas Mistelis, Stefan Kröll. 9 International Commercial Arbitration, Second Edition 2014, Volume I, pp. 657, 1344–5; Gary B Born. 11 See Savola, Mika: Guide to the Finnish Arbitration Rules, Helsinki 2014, p. 139–140. 13 See Savola, Mika: Guide to the Finnish Arbitration Rules, Helsinki 2014, p. 149. 14 See Born, Gary B.: International Commercial Arbitration, Second Edition 2014, Volume II, p. 2605–2606. 15 See, e.g., Private Dispute Resolution in International Business: Negotiation, Mediation, Arbitration, 2009, Kluwer Law International, Alphen aan den Rijn, p. 307, K P Berger; and Comparative International Commercial Arbitration, 2003, Kluwer Law International, The Hague, pp. 5–8; J D M Lew, L A Mistelis and S M Kröll. 17 Judgment No. 1551, Record S 15/2325. 18 Judgment No. 12/31837, Record H 11/43457.